MET college was brought into existence in the year 1989 to provide education to the students through correspondence mode. The institute is one among the famous educational institute located at the capital city of Maharashtra state, Mumbai. This college is functioning under the aegis of Bhujbal Knowledge Centre with a vision to shape the young minds into complete professionals through education. This college offers management education in distance mode through MBA and MMS master degree programs. 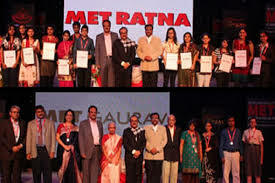 This college is one of the leading educational institutes of Maharashtra catering correspondence education. Students with a bachelor degree or 10+2+3 from a recognized university are eligibility to get admitted in the college. Fee for the distance MBA course is approximately INR 85000/- and the fee payment can be made through installments. At this college students are admitted based on their score obtained in the under graduate degree programs. The duration of the course is 2 years, the course has to be completed within 5 years of the date of enrollment. Fees structure and requirements and eligibility for the course, +447440273850? Write Your Reviews on "Mumbai Education Trust Distance Learning"
Are you Interested inMumbai Education Trust Distance Learning"? Please provide the following details. Ask Question on "Mumbai Education Trust Distance Learning"?